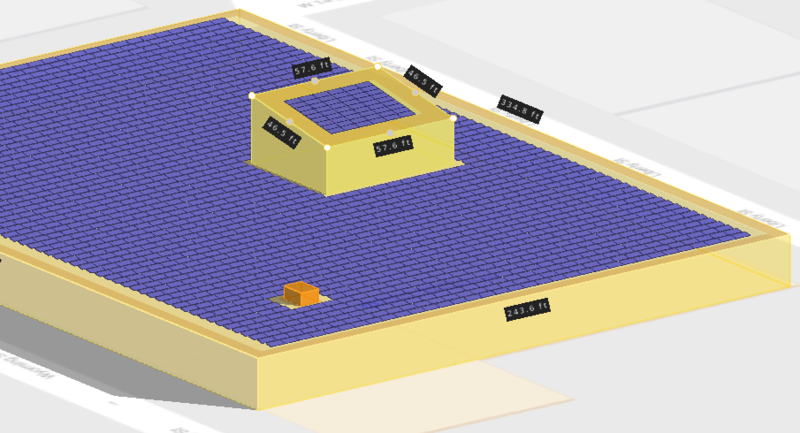 HelioScope allows users to create complex 3D scenes with multiple intersecting field segments and keepouts. 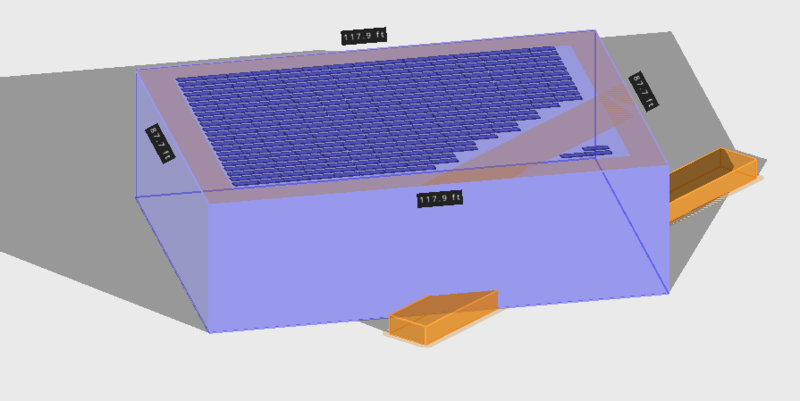 This article describes the rules for how field segments and keepouts behave when conflicting height or setback distances are present between two intersecting objects. 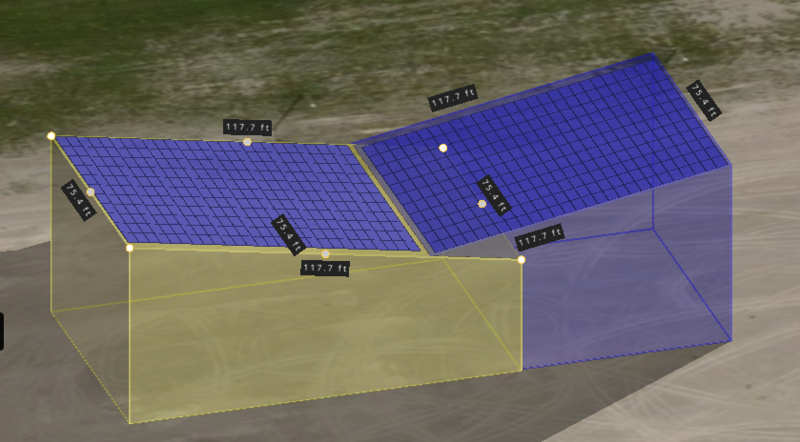 When a keepout is fully enclosed by a field segment its height will be added on top of the field segment and its setback distance will be independent from the field segment. In the example below the keepout is fully enclosed, has a height of 5 feet and a setback of 2 feet. 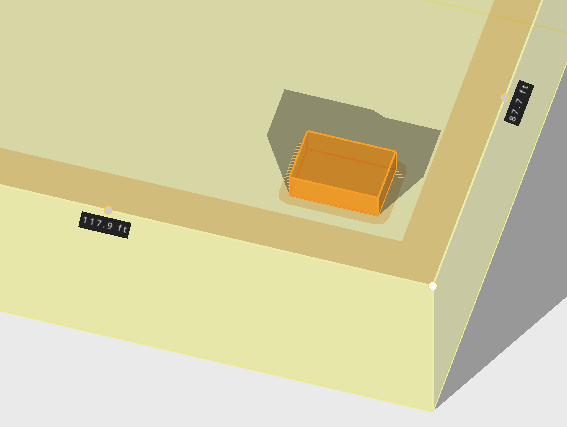 In the example below the new keepout is not fully enclosed by the field segment so its height is not added on top of the field segment. Instead it is given an absolute height from the ground. You can still see its setback along the surface of the field segment. This is especially useful when drawing maintenance paths that span across multiple field segments. In this final example the keepout is not fully enclosed and is taller than the field segment. As a result, the field segment takes the maximum setback distance between the field segment and the keepout. Similar to stacking keepouts, a field segment that is fully enclosed by another field segment will stack on top of the larger field segment. When two field segments of different heights intersect, but are not fully enclosed the height of the field segments will not stack. 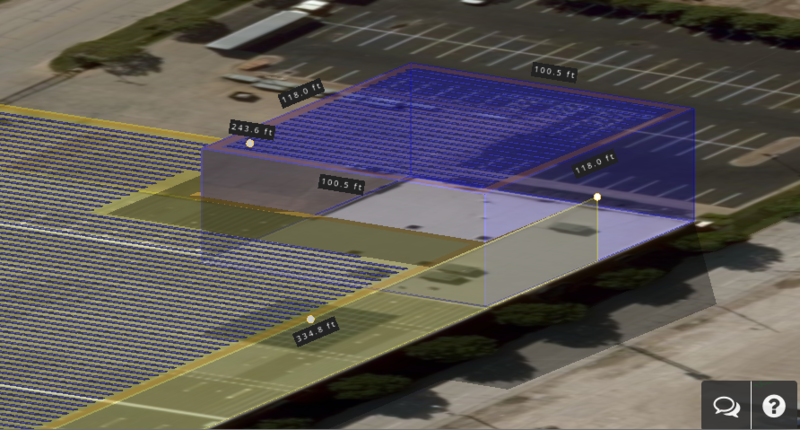 Modules will be placed on the higher field segment. Below is an example with conflicting flush-mounted field segments. 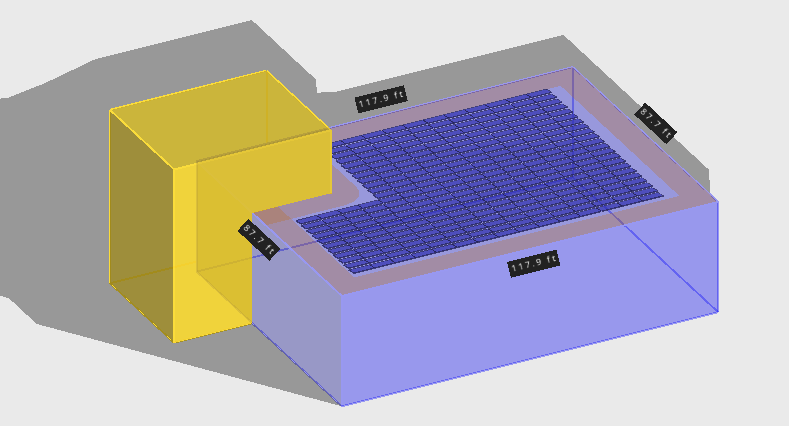 The portion of each surface that is higher will have have modules, while the lower field segment does not.